With the start of a new Formula 1 season just around the corner who are the front-runners for both the drivers' and the constructors' title? There hasn't been much change in terms of teams from 2015 and with Lewis Hamilton set to dominate, how will 2016 pan out? Lewis Hamilton won the drivers' title at a canter last year, as he tied things up with three races to spare. But the rivalry between himself and Nico Rosberg grew even fiercer. Hamilton was accused of being 'too aggressive' when attempting to overtake at the US Grand Prix. The tensions between the two were largely brushed under the carpet last year, but re-emerged towards the end of the season as Rosberg found his groove. The German found pole position six times and had three wins in the final races. Even Mercedes team boss Toto Wolff has had to admit there are a few niggling issues. He is concerned about the good of the sport and does not want the team to dominate without sufficient competition. "I want the dominance to continue, but if it were to continue like this I need to think what we do so we do not become the enemy." said Wolff whose team has won 32 out of the last 38 races. He has suggested giving the two racers total freedom to race against each other. 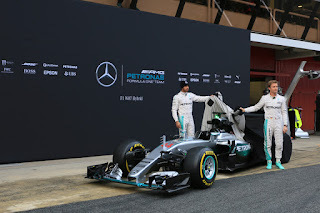 It could be a big risk for Mercedes as a team, but fantastic for fans and viewers. Will Ferrari continue to rise? After a disastrous 2014 it could only get better really. Optimism grew in the Ferrari team last season, no doubt luring four-time world champion Sebastian Vettel was a major coup. The big problem it had in 2014, was the design flaw in its hybrid engine which meant it had under-par energy recovery. 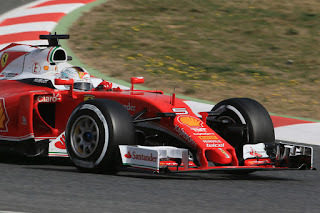 On average the Ferrari was 0.6 seconds behind Mercedes per lap in qualifying which in Formula 1 is an enormous gap to be able to bridge in one off-season. It will be interesting to see how the Italian team gets on under new technical director James Allison after the abysmal 2014 season. 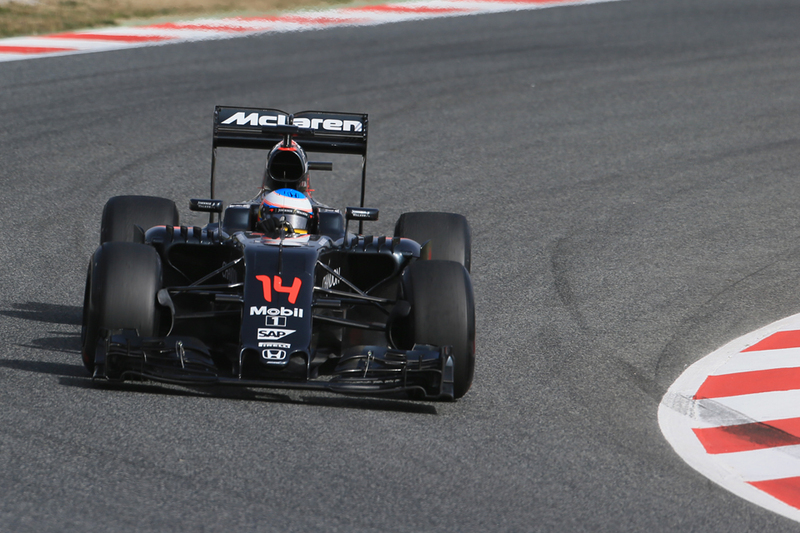 Can McLaren start a comeback? 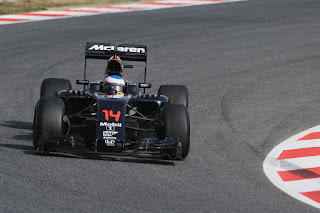 Fernando Alonso made the bold decision to move to rivals McLaren in 2015 as he thought it would be the quickest route to another drivers' championship. Things haven't worked out. McLaren has been lagging behind for a while now and despite the new Honda engine it could still be off come the start of the new season. Honda at least knows where it went wrong with the engine and know what it can do to bring up to scratch. Energy recovery from the turbo was well off, but at least knowing what it must do in theory would allow it to gain the extra 2.5 seconds Alonso said was possible at the end of last season. The two drivers at McLaren, however, are possibly reaching their twilight years and it remains to be seen what they might do if McLaren remain so far off the race. Formula 1 has never been far from controversy but last year it sometimes overshadowed the racing, which is only a shame for the sport's fans. Engine supply was an ongoing issue in 2015 as Red Bull had some serious issues with Renault which supplies its engines. Christian Horner described the relationship as irreparable and even said last season that Red Bull would be willing to quit if it doesn't have a competitive engine, rather than use Renault. Renault itself has got tired of not getting enough recognition for its contribution and stated that it would either exit F1 completely or compete as their own team (and it did the latter). It was suggested that Red Bull might use old Ferrari or Mercedes engines, but for a team as big as Red Bull it would be hard to imagine it being happy with anything other than top quality. However, recently Christian Horner said he was encouraged by the progress Renault had made with the engine and it will have one for the new season. The motor will be under the luxury watch brand name 'Tag Heuer' as relationships remain strained. 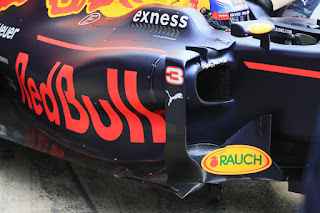 It remains to be seen what Red Bull will do, with new regulations - still being argued about - coming into effect for 2017 it will be intriguing to see what its odds are of doing well in 2016.